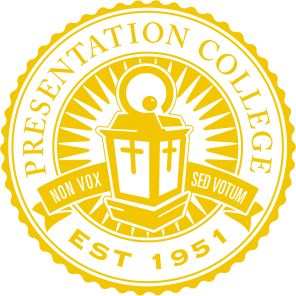 Presentation College - Apply Now! Begin your Presentation College journey by completing this short form. By checking this box, I understand I will receive future calls that deliver prerecorded messages by or on behalf of Presentation College; and (2) having received this information, agree unambiguously to receive such calls at a telephone number I designate. As an example, to receive future updates and promotional text messages to this number on behalf of Presentation College. Message and data rates may apply to each text message sent or received as provided in your wireless service rate plan.